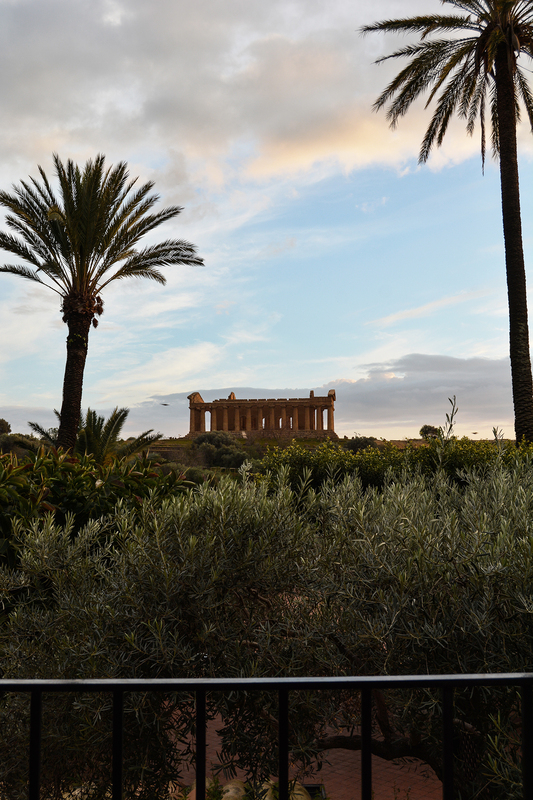 We went to Sicily and it was heavenly – as always in Sicily. But what makes this place so special? Is it the magical light, the outstanding food, the heart warming people? Was it the endless Scala dei Turchi beach, or the breathtaking temples of Juno and Concordia that happened to be right in front of our hotel room? 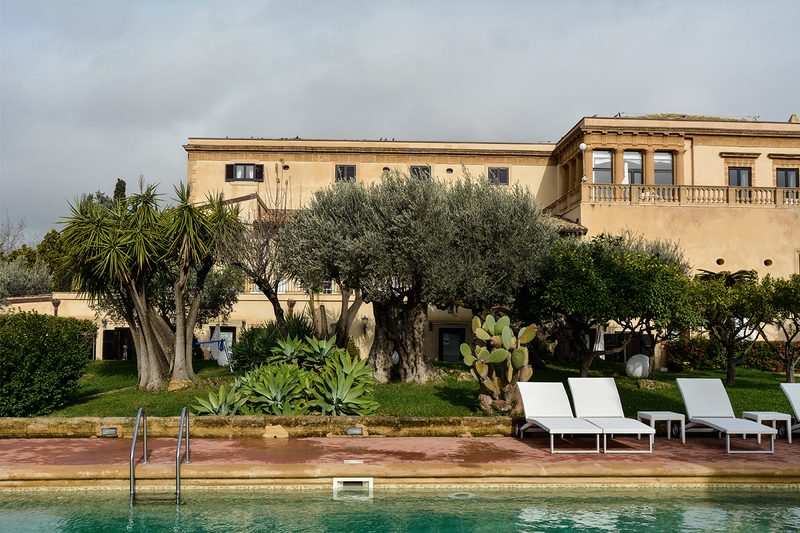 Why did it feel like being close to the Gods when we stayed at the stunning Hotel Villa Athena in the lush, green valley of Agrigento? Our hotel was luxurious and in a more than fortunate position. 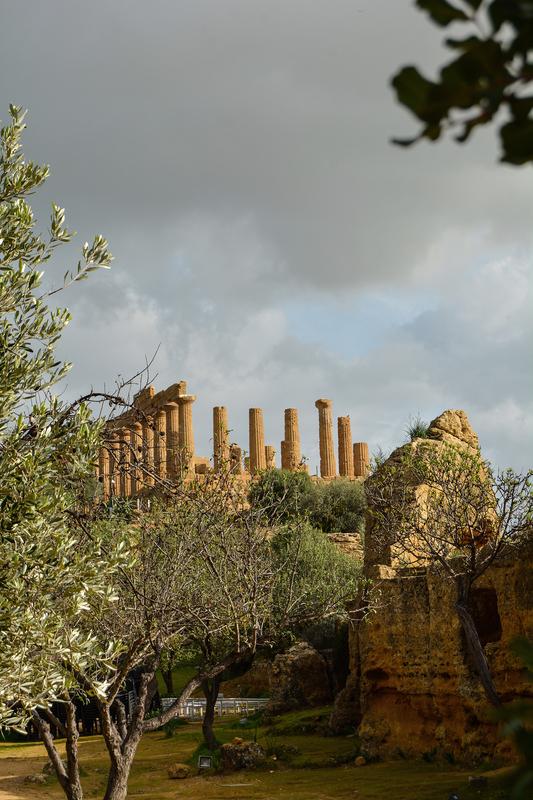 The old villa once owned by a noble principessa in the 18th century, is situated in the fascinating Archeological Park and Unesco World Heritage Vale dei Templi. 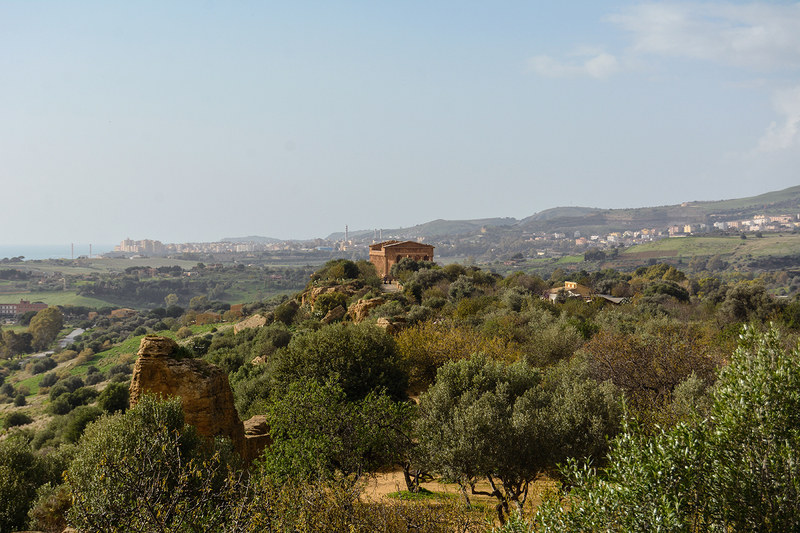 Thanks to the efforts of archaeologist Domenico Antonio Lo Faso Pietrasanta, the Duke of Serradifalco, we can admire the stunning remains of Akragas, one of the most important Greek colonies in Sicily. Founded in 581 BC, this ancient city was spread over 1300 hectares laying graciously on top of two soft hills. 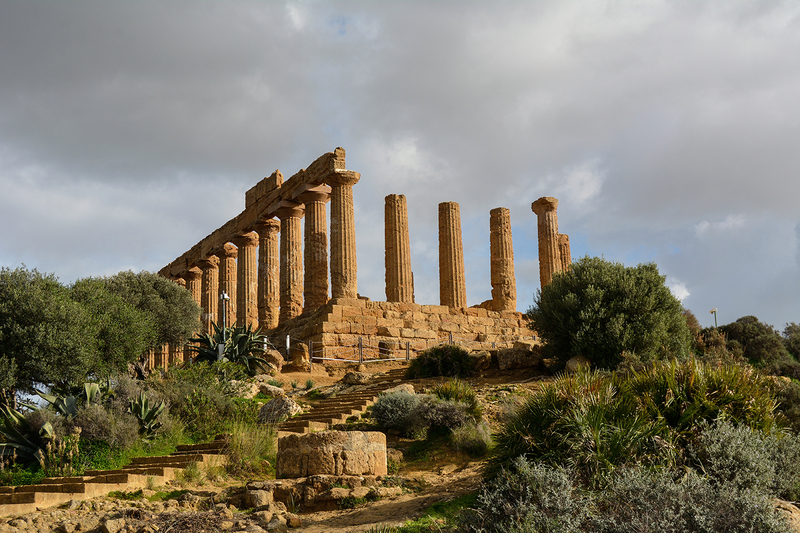 Today many traces of its history and rich culture are still present, most spectacularly in the form of a group of temples dating back to the 5th century BC. Best preserved are the Temple of Concordia, the Doric style building is in a surprisingly good state thanks to its transformation into a Christian Basilica in the 6th century AC, and Juno. And this temple literally took my breath away. The Temple of Juno is magical, the atmosphere, the light, the setting, it’s mesmerizing. I couldn’t take my eyes off its sturdy columns, glowing golden in the afternoon sun. The light seemed unreal, dimmed and dramatic. You can see it in the first picture, it looks like a painting, but it’s a photograph. 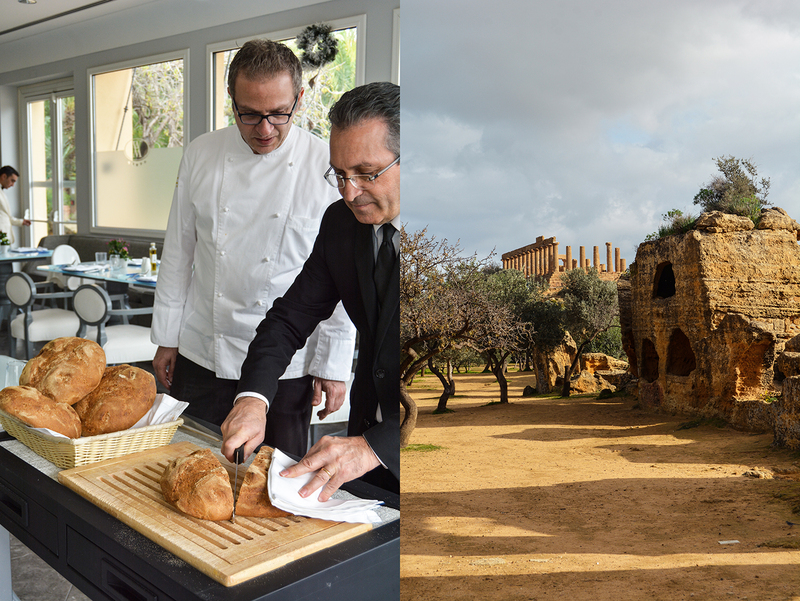 I came to Agrigento to cook together with Hotel Villa Athena‘s renowned chef Salvatore Gambuzzo. 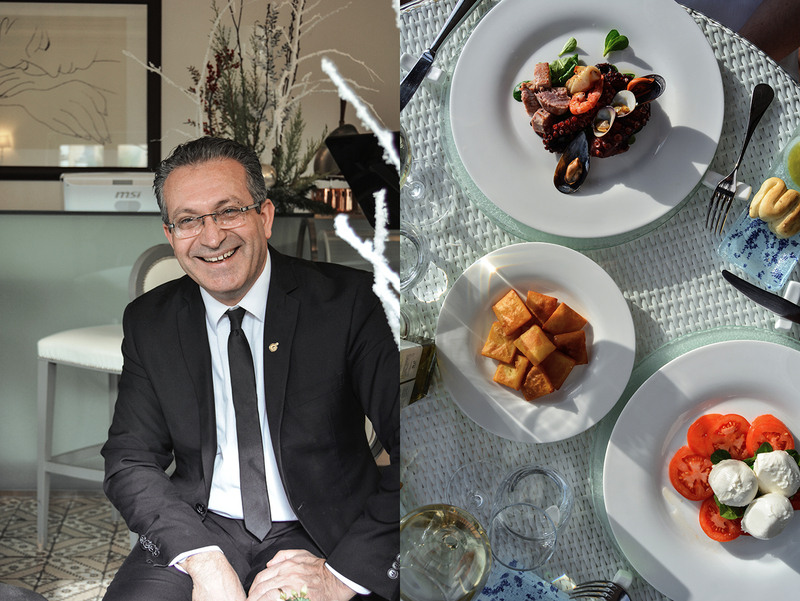 Thanks to his verve and dedication, the hotel’s restaurant, La Terrazza Degli Dei, is mentioned in the Michelin guide and the first star doesn’t seem too far away. 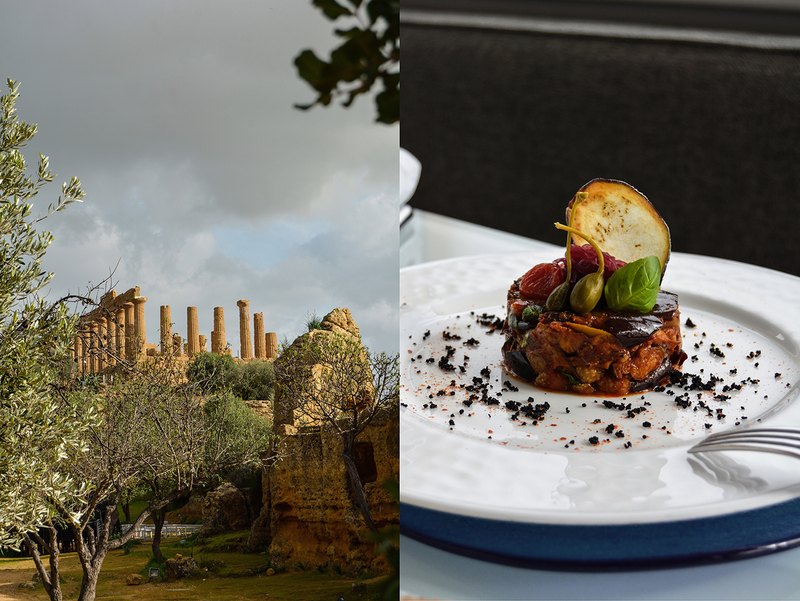 Salvatore is deeply connected with Sicily and the region of Agrigento, he was born just a few hills away from his restaurant, in Porto Empedocle. He loves his island, he adores its original produce and culinary traditions. Salvatore is a true Sicilian at heart. Inspired by his nonno Giuseppe, a fisherman, and his mamma Giuseppina, he always felt passionate about his home island’s food. Becoming a chef was a wise choice made at the young age of 14. 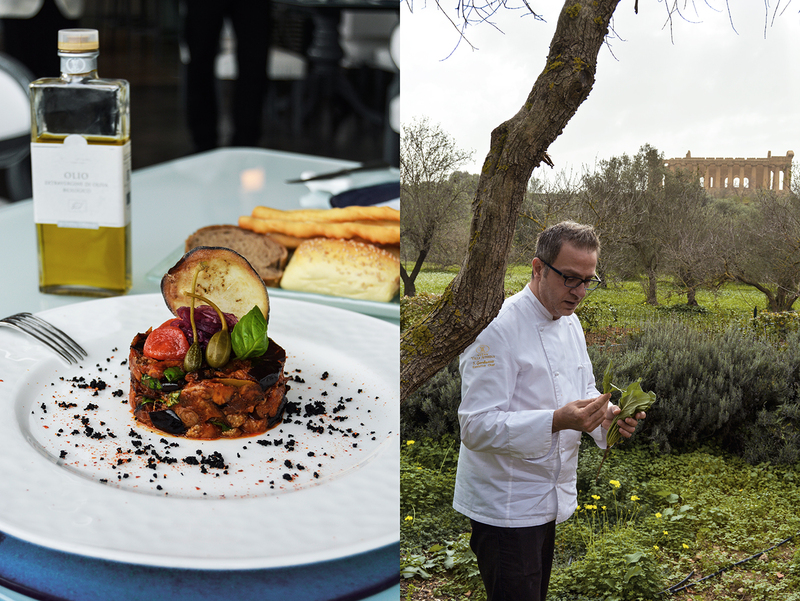 Working in Piemonte and Monte Carlo, and then later, becoming the executive chef of the prestigious Belmond Villa Sant’Andrea in Taormina, made him gather fruitful experiences. But it also made him realize how close he feels to the soil where he was born, so he moved back and joined the team at Villa Athena. Salvatore loves experimenting with new recipes, using the freshest fish from the sea right in front of his door step and the meat from the butchers who he’s known for years. In the warmer months of the year he can pick the fruits and vegetables right from the villa’s garden, he has absolute control over the produce and products that he uses in his kitchen. Local or regional, mainly organic, and in accordance with the island’s inspiring culinary traditions. He feels the duty to protect his culture and pass it on to future generations. 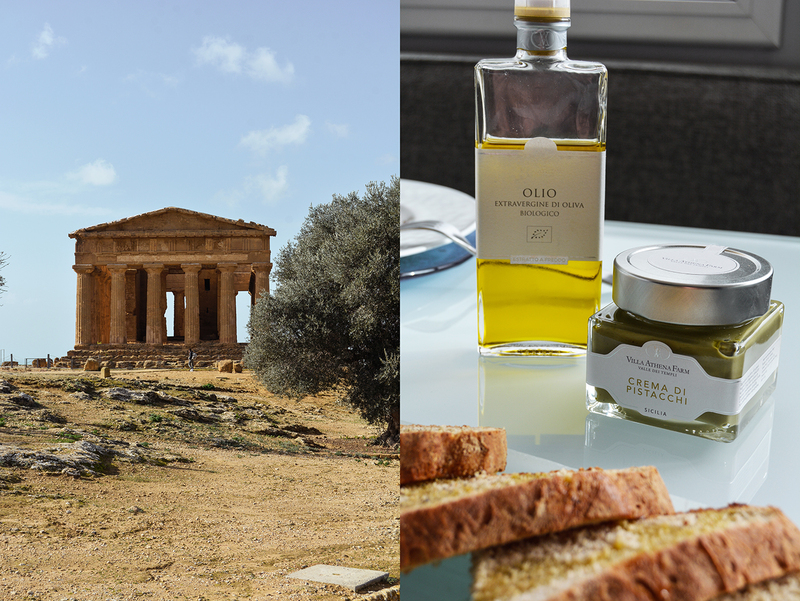 As the president of the Associazione Cuochi Agrigento he’s an ambassador for his country’s regional treasures. We need people like Salvatore to keep our traditions and food culture alive, all over the world. The chef also has another, quite impressive passion: Savatore falls for food art and creates spectacular sculptures made of potatoes (and other food) preserved with salt and turned into rock-hard everlasting pieces of art. It’s unbelievable, he manages to make potatoes look like marble! With pride in his voice, he told me that he brought home eight gold medals from world wide competitions. The preparation takes weeks, but when you hear him talk about it – especially in Italian – it sounds like he’s talking about a woman. 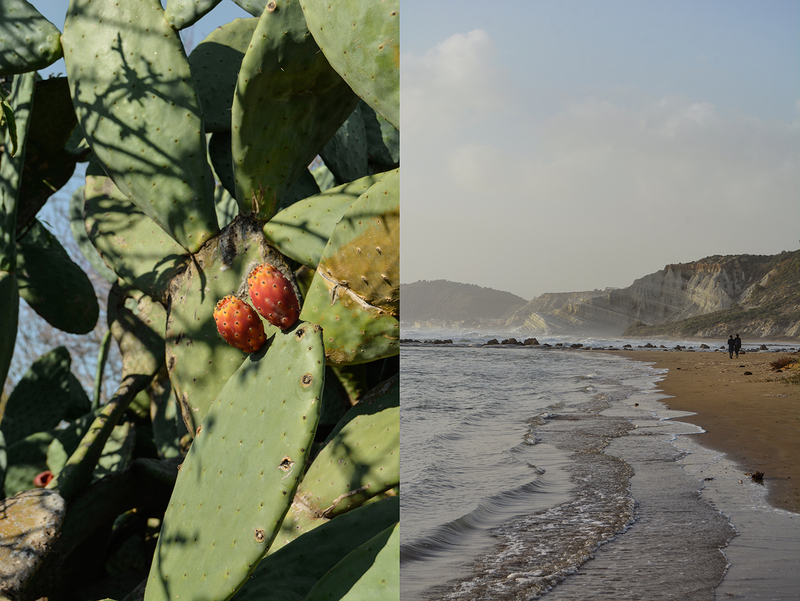 It was relatively warm and the Sicilian sun was still strong during our stay just a few days before Christmas. The branches of the citrus trees in the beautiful gardens were lusciously filled with plump lemons, tangerines, oranges, and grapefruit. And as Salvatore showed me his own ‘little‘ garden, I couldn’t help but feel envious. 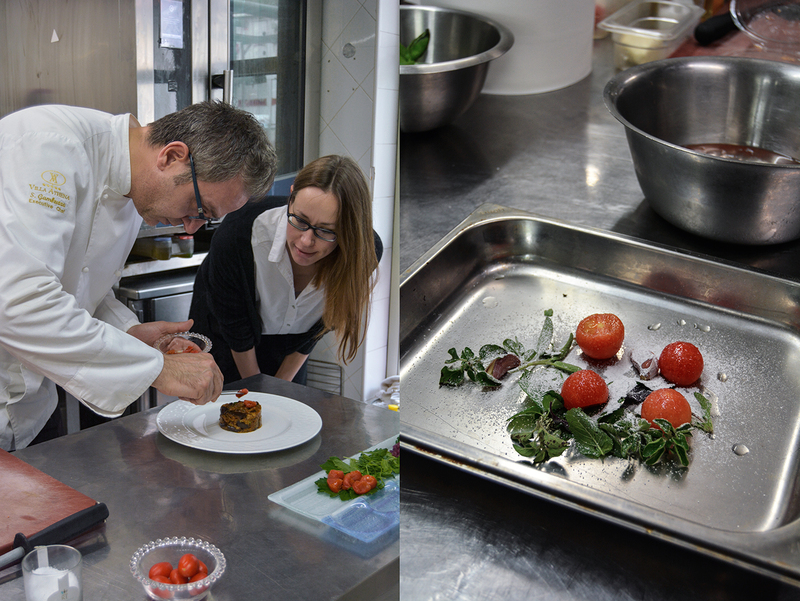 Bushes of mint, rosemary, green and violet sage, marjoram, oregano, various kinds of thyme (including thymo alpino), borage, sorrel, basil – it’s an orchestra of flavours, always at hand to refine (almost) every creation that leaves his kitchen. 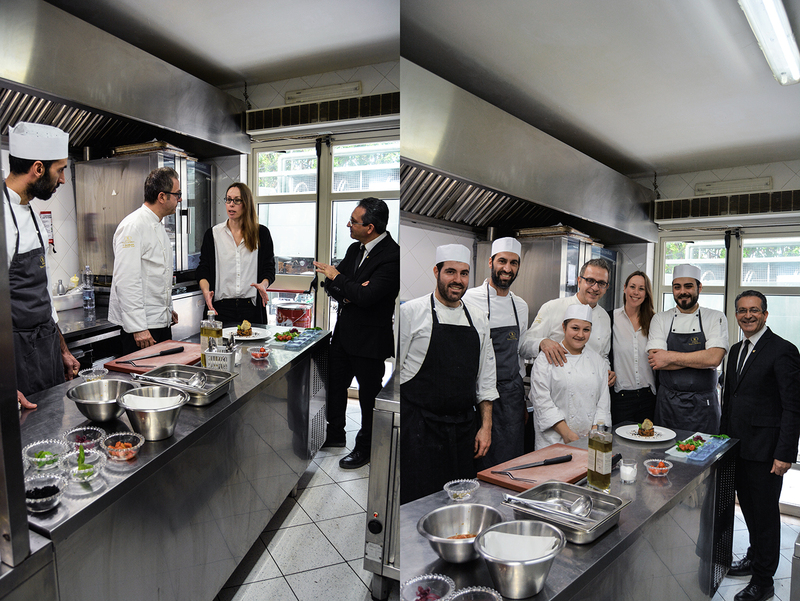 We enjoyed three dinners and two lunches prepared by Salvatore and his team, all of which were rich in aromas and creative in style, never forced or pretentious, and most importantly always heavenly delicious. The chef shows great respect for nature’s creations in his recipes, he works with nature’s gifts, but never tries to distract from their original taste and quality. 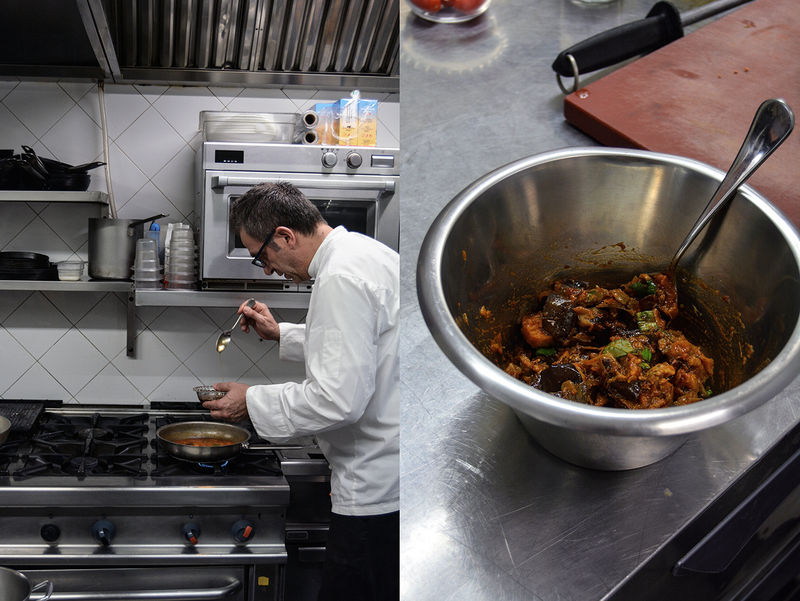 The first dish on my plate was Sicilian Caponata, one of the best I have ever had the pleasure to dig my fork into. It was fruity, sweet, and juicy, so thick and chunky that it stood on the plate like a dome. Caponata is a Mediterranean classic, zucchini, eggplant, and pepper, tomatoes and vinegar, it’s a simple dish, but this one was so good that I asked Salvatore to share the recipe with me so that I could share it with you. The addition of celery is great and the topping of sugary-sweet dehydrated date tomatoes makes it irresistible. My humble chef was so kind to also share the trick that turns the tomatoes into little addictive bites (see the recipes below). And the wine! I must say I’m quite lucky – most of the time – when it comes to picking local treasures from the wine menu, even without guidance. 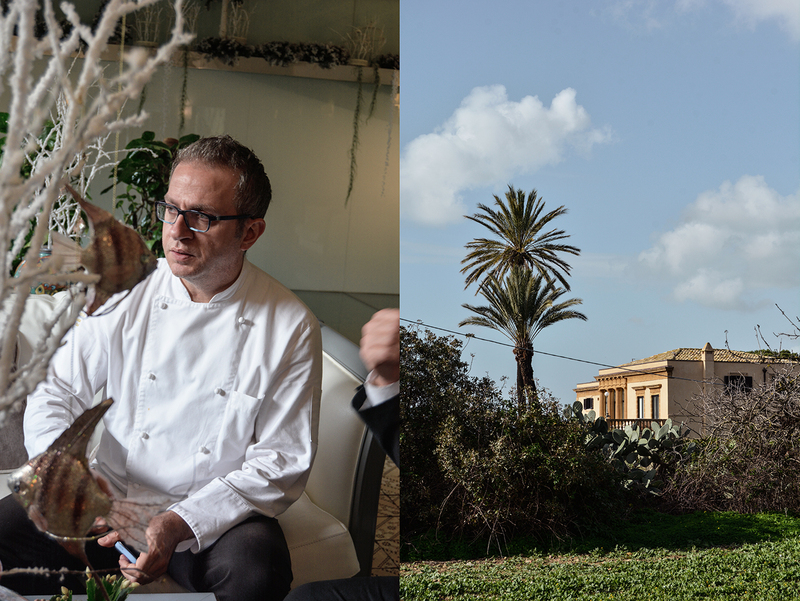 But this time I knew we were in good hands, sommelier and maître d’ Salvatore Di Carlo took great care of us and introduced us to one of his favourites, the fantastic Planeta Chardonnay from the territory of Menfi close to Agrigento. We fell in love with this golden, lush wine, so much so that we had to order it again on our last night. And once in a while Salvatore Di Carlo would stop by at our table, just to smell the aroma, and he’d smile. Our red favourite was the dark Baglio del Cristo di Campobello Lusirà Syrah, also a precious local find. I’m a huge fan of good bread, I call it my favourite food for a reason, so despite all the culinary highlights that caressed my taste buds, I’ll never forget the bread served at the villa at lunch and dinner time. Still warm and cut into thick slices, generously sprinkled with the villa’s own olive oil, accompanied by a glass of Prosecco and a good chat with our Salvatores – it couldn’t get any better. The bread is made of the indigenous Russello durum wheat semolina. This Sicilian grain is dark, golden, and almost red in colour, like the soil around Agrigento. The baked loaf has a beautiful crust, a light crumb, and its nutritious value is much higher than that of wheat. For a sweeter version, we spread it – thicker than necessary – with the hotel’s scrumptious pistachio paste, one bite and you’ll never ask for chocolate spread at the breakfast table again. I want to work on a recipe to share with you, one of my 2017 kitchen projects. 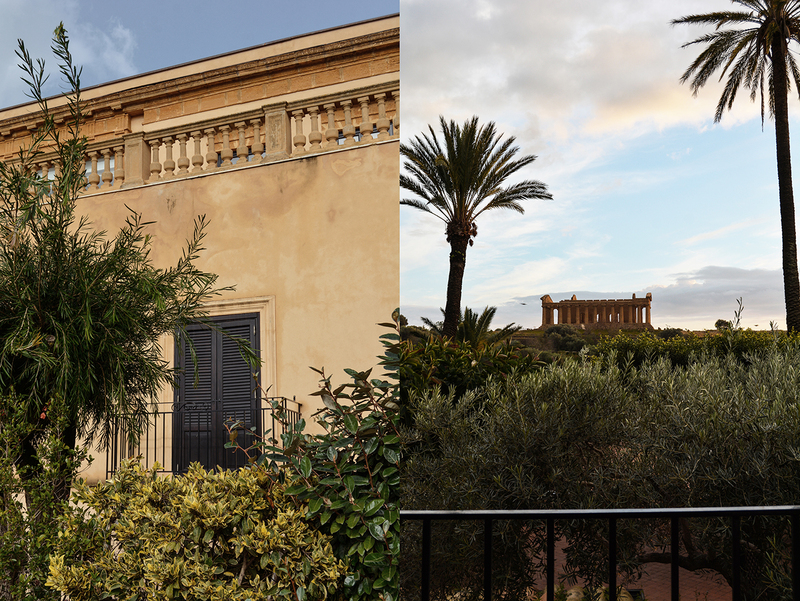 We met so many lovely Salvatores at Villa Athena, which is not a surprise, as we learnt it’s one of Sicily’s favourite names. If you go there, it’s most likely that this will be the first name you either hear or see engraved in the rocks on a beach (it happened to us). All our beloved Salvatores, be it the chef, the sommelier, or the kind and caring waiters, they were all the reason that we left the villa in sadness – we didn’t want our paths to separate. We laughed so much together, they all did everything possible to make us feel fantastic. We can’t thank you enough for giving us an insight into your culture and cuisine, for making this wonderful stay at your hotel unforgettable, and for spoiling us so much. Thank you Salavatore (s), Roberto, and Claudia! Hotel Villa Athena is a member of the group of Small Luxury Hotels of the World, it’s the right place to treat yourself under the Mediterranean sun for a couple nights. I find that the colder time of the year is best to enjoy the hotel’s extravagant comfort and amenities, it’s all quiet and peaceful in the low season. Even the Vale dei Templi was all for us, we were almost the only visitors, however, the hotel offers an exclusive entrance to the Archeological Park, which means you can skip the long line of tourists even in the summer months. Rinse the eggplants and remove the stems and the ends. Peel the eggplants (optional), cut off the skin as thinly as possible. Cut the eggplants into large cubes and cook them in a generous amount of hot vegetable oil until golden and soft. Transfer to kitchen paper to remove excess oil and set aside. Trim the celery and remove all the leaves and discard them. Cut the celery into small pieces and blanch in salted water until tender. Heat a generous amount of olive oil in a large, heavy pan and cook the onions until golden and soft. Add the celery, olives, and capers, cook for a few minutes, then add the tomato sauce. Season with salt and pepper and cook over medium heat. When it’s all soft and thick, add the eggplant to the sauce and simmer until soft and mushy. In a medium saucepan, add the sugar and vinegar and let the sugar dissolve over medium heat, then pour the vinegar over the caponata. Let it simmer until the mixture is thick. Preheat the oven to 100°C / 200°F. Fill a large bowl with cold water and a handful of ice cubes. In a saucepan, bring water to the boil, add the tomatoes, and immediately transfer them to the bowl with the ice water. Using your fingers, remove the skin, then cut the tops off and discard. Spread the tomatoes and the remaining ingredients in a large baking dish, mix well, and dehydrate in the oven for 2 hours until the tomatoes are soft and a little shriveled. Once cool, keep the tomatoes in a jar filled to the top with olive oil. Dear Meike, I truly enjoyed this article, it seems like I was right there with you. Brings back to my memory lots of images, flavours, scents of my beloved Sicily. Dear Anna, Thank you so much for making this trip possible, we enjoyed our stay at Villa Athena so much. I’m glad it brings back nice memories! Meike, thank you! Love it! As a passionate cook for all things French, I make ratatouille at least once weekly. However, my dream was to get to know the South of Italy much closer and this recipe is my first step towards this. Never ried to make candied tomatoes myself!! Would do this tonigh, my family loves caponata! 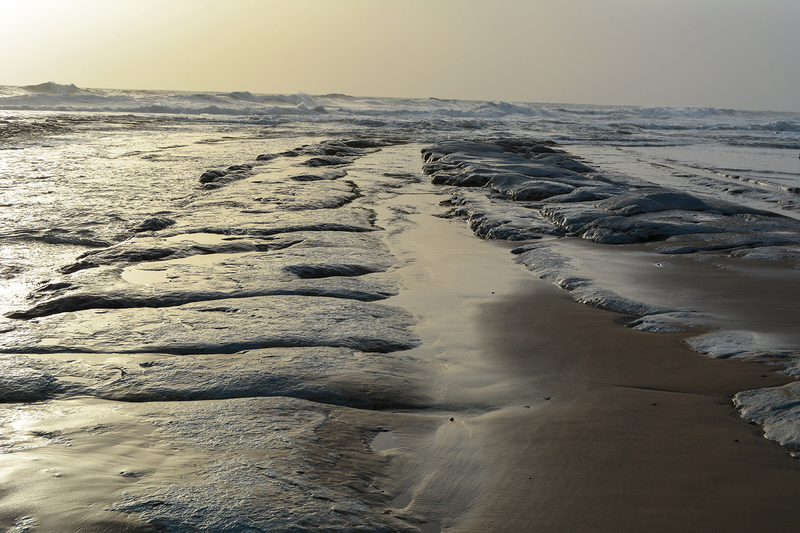 Great photos, Meike ! And beautiful description of the scenery and of the delicious food ! 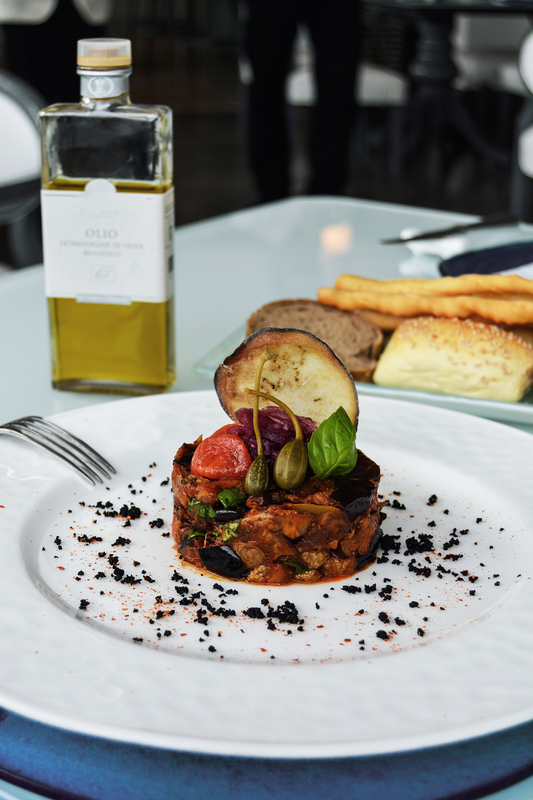 I will definitely try the caponata and also make a big jar of candied cherry tomatoes ! They sound yummy . Thank you for sharing ! Hugs, Dorle. Thank you, Dorle! It’s such a magical place, it was easy to write about it. The food, the people, the location, it’s fantastic. Enjoy the recipes! I couldn’t stop eating Salvatore’s caponata while I was there, it’s divine.